Brass and Ivory: Life with MS and RA: Arthritis Awareness Month: Show Us Your Hands! May is National Arthritis Awareness Month. I missed sharing the announcement on May 1 regarding the release of the 1,000 Hands Poster Project (see below), but it's never too late. Show Us Your Hands! is an awesome project spearheaded by my friends RA Guy and Lene Andersen. I ordered my poster last week. Even better is the announcement that Show Us Your Hands! has released a new photo book Our Hands Can! 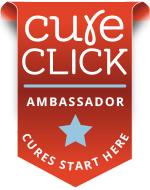 - "the latest in a series of successful initiatives aimed at uniting the community of individuals who are living with inflammatory arthritis and increasing the public’s awareness of this group of autoimmune diseases. This photo book contains the inspiring photographs and moving stories of dozens of people of all ages from around the world who live with different types of inflammatory arthritis and is being released today in celebration of Arthritis Awareness Month." Oh how I wish I knew that Lene was doing this. I would have made sure that my hands contributed in some way. However, a photo of my hand was part of the original collage collected last December 2011. 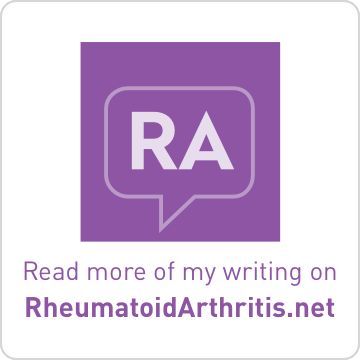 Some inspiring people are doing great things to raise awareness of RA and other inflammatory arthritis diseases. Very cool. (May 1, 2012) – Show Us Your Hands! is pleased to announce the release of its 1,000 Hands Poster Project, the latest in a series of successful initiatives aimed at uniting the community of individuals who are living with inflammatory arthritis and increasing the public’s awareness of this group of autoimmune diseases. This poster proudly displays the first one thousand hands which were submitted to the community collage project and is being released today in celebration of Arthritis Awareness Month. May is National Arthritis Awareness Month in the United States. Its goal is to bring attention to the issues and realities faced by people who live with one of the more than 100 different types of arthritis. More than 46 million people live with arthritis in the US, including 300,000 children. It is the most common cause of disability. The 1,000 Hands Poster is available for purchase at Zazzle. “This poster is powerful! 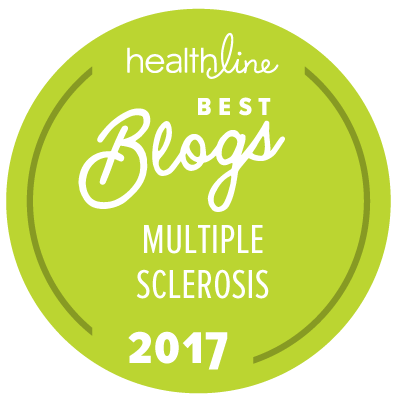 It represents how individual we each are with inflammatory disease while also showing how strong we are together as a community,” says founding director Cathy Kramer. All funds raised from the sale of these posters go to Show Us Your Hands! An international awareness movement which serves to unite and inspire the inflammatory arthritis community. The Show Us Your Hands! inflammatory arthritis community collage project debuted in December 2011. People of all ages from around the world are represented in this community project and new photos continue to be added to on a regular basis. The community collage project serves not only as a symbol of the wonderfully supportive inflammatory arthritis community that continues to grow and connect online, but also acts as a reminder that people who live with these diseases should be proud of, and not ashamed of, their inflammatory arthritis hands. By April 2011, the Show Us Your Hands! inflammatory arthritis community collage project had grown to include more than 1,000 hands. Autoimmune diseases occur when a body’s immune system mistakenly attacks healthy tissue. In the case of inflammatory arthritis a person’s joints are frequently attacked, resulting in chronic pain and debilitating inflammation. The most common inflammatory arthritis diseases are Ankylosing Spondylitis, Juvenile Idiopathic Arthritis, Mixed Connective Tissue Disease, Psoriatic Arthritis, Reactive Arthritis, Rheumatoid Arthritis, Scleroderma, Sjogren’s Syndrome, Still’s Disease, and Systemic Lupus Erythematosus. (May 7, 2012) – Show Us Your Hands! is pleased to announce the release of its Our Hands Can! photo book, the latest in a series of successful initiatives aimed at uniting the community of individuals who are living with inflammatory arthritis and increasing the public’s awareness of this group of autoimmune diseases. This photo book contains the inspiring photographs and moving stories of dozens of people of all ages from around the world who live with different types of inflammatory arthritis and is being released today in celebration of Arthritis Awareness Month. The Our Hands Can! photo book is available for purchase at Blurb in both hardcover format and softcover format. “Being part of this has made me feel proud of who I am with rheumatoid arthritis and all for the first time in a long time,” says Samantha Legere, who is profiled in the photo book. Founding director Lene Andersen adds, “Our Hands Can! is a tangible affirmation that all of us who live with inflammatory arthritis find a way to live meaningful, productive and joyful lives. Our hands may hurt and bear the visible signs of our disease, but it doesn’t stop us!” All funds raised from the sale of these photo books go to Show Us Your Hands!, an international awareness movement which serves to unite and inspire the inflammatory arthritis community. Autoimmune diseases occur when a body’s immune system mistakenly attacks healthy tissue. In the case of inflammatory arthritis, a person’s joints are frequently attacked, resulting in chronic pain and debilitating inflammation. The most common inflammatory arthritis diseases are Ankylosing Spondylitis, Juvenile Idiopathic Arthritis, Mixed Connective Tissue Disease, Psoriatic Arthritis, Reactive Arthritis, Rheumatoid Arthritis, Scleroderma, Sjogren’s Syndrome, Still’s Disease and Systemic Lupus Erythematosus. Show Us Your Hands! is an international awareness movement which serves to unite and inspire the inflammatory arthritis community. For more information, please visit www.showusyourhands.org. Show Us Your Hands! can also be found on Facebook and Twitter. Our Hands Can! by Show Us Your Hands! Thank you so much for sharing this material with all of us! I wish that there was more information like this out here on the world wide web. I love what you said about arthritis, it can be such a terrible disease! One of my closest friends has RA, and she's only 21 years old. It is so hard for me to watch her struggle with it in every aspect of your life! Getting to know her better has opened up my knowledge of arthritis a great deal. I've been wanting to learn more about it and educate myself so that I'm more aware. I also work with senior citizens every day, helping them cover the out of pocket gaps brought on by government Medicare at medigapgroup.com. Many of my clients suffer from arthritis. 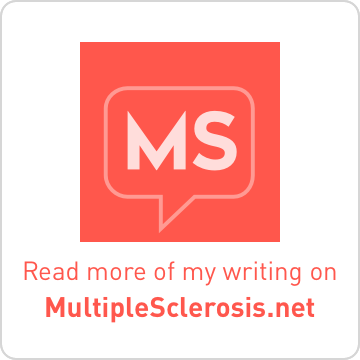 I will definitely spread the word about this blog to my friends and clients. Feel free to check out our website if you ever get the opportunity! Thanks again for sharing. You have an excellent blog.